With free entry before 10pm, the club features 9 drag shows a night, and decent beverage prices. 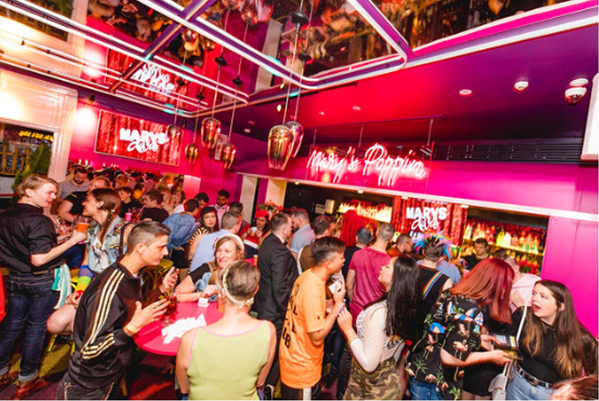 Mary’s is a popular venue for international drag stars such as Miz Cracker and Katya, and has frequent events and themes such as Disney, 80’s icons, girl groups, and more. Personally, I would not recommend visiting a gay space with straight friends in tow. My group included my lovely girlfriend, whose birthday wish was to visit a gay club, and two of her hetero friends. The entrance was lit with the club’s iconic umbrella logo, leading upstairs to a small area consisting of a stage, a bar, a pole, some couches, and a dance zone. The area itself was colourful and vibrant, but strange at first, full of loud, unrecognisable 80’s music, and majority gay men. Those two would have been great, if it had not been for the seemingly dozens of elderly straight people who I imagine came for the “exotic” and “taboo” nature of homosexual spaces. To add to that, the friends who came were clearly not into it, awkwardly standing around in a space not made for them–hm, I wonder how that could possibly feel. All in all, while those bits and pieces made the short instance there not amazing, the space would otherwise have felt homey. 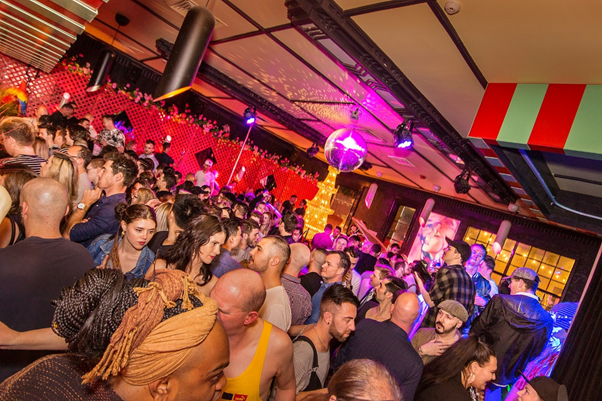 It was a safe vibe, I felt unthreatened and welcomed, and the gay crowd was incredibly friendly, especially compared to the usual nightlife of Adelaide. We spotted a lively lesbian jumping around among the gay men, which honestly made the night worth it. The festive place lacked the L in its space, a common theme in everyday life, but overall, it would have been a great place as far as clubs go with its safe and kind vibe; I would recommend a visit if ever in the city. I am a lesbian from Adelaide, Australia. At university, I studied biology for a while and am now following my passion for English, languages, and women's studies. My interests include drawing, painting, reading, and my girlfriend.